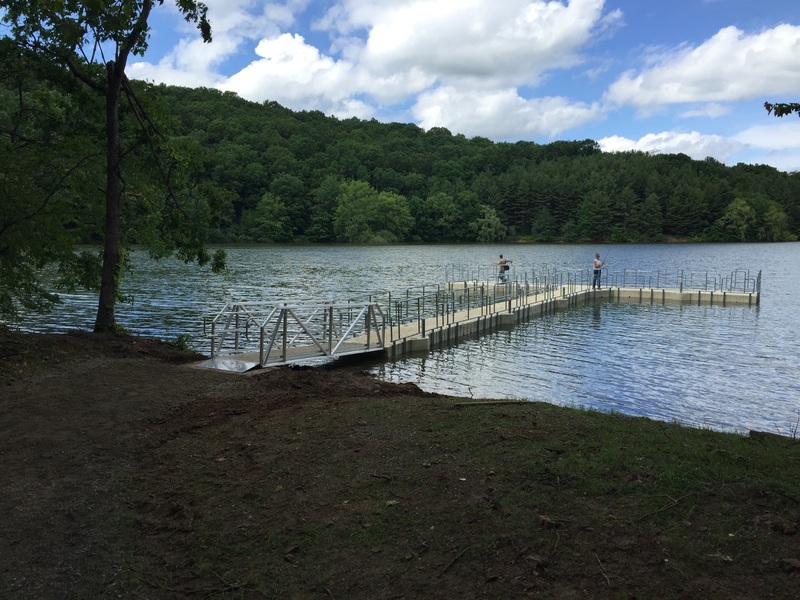 Wythe County tourism officials say that 2015 has been a spectacular year for the lake, as numerous improvements and renovations have been made to the park. In addition to the national publicity and visible improvements, DGIF has implemented several ‘behind-the-scenes’ enhancements to the impoundment. The entrance to the emergency spillway was widened to be certain that water could enter and flow through as needed during a major storm event and an electronic rain gauge that links to emergency officials in Richmond was installed. The Rural Retreat Lake is a partnership between Wythe County and DGIF – Wythe County manages the campground and surrounding facilities, while DGIF owns the impoundment. In addition to the 74 primitive and RV-hookup campsites, the Rural Retreat Lake Park & Campground also includes the 90-acre fishing lake, a stocked trout pond, numerous hiking trails, picnic shelters, junior Olympic size pool and adjoining kiddy pool, 9-hole Frisbee golf course, and children’s playgrounds. The campground’s official website is www.RuralRetreatLake.org. Individuals wishing to contact the campground may do so by calling (276) 686-4331.